Monasteries may seem like an odd attraction for visitors, but you might be surprised what they have to offer. 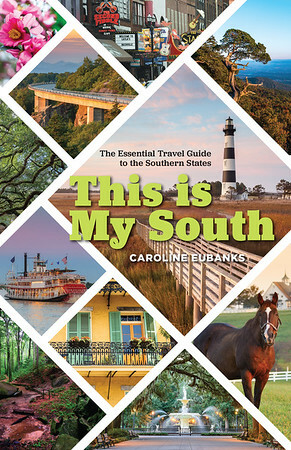 Some have National Register of Historic Places-listed buildings while others host personal retreats for those looking to get away from the noise of their daily lives. Whether you’re one of the faithful or not, these places are worth another look. In 1891, a group of Benedectine monks came from Germany to start a monastery in America to service the German-speaking immigrants who had settled in northern Alabama. A school was established in 1892 and throughout the years, they operated a high school, junior college, four-year college, and seminary. It was here that St. Bernard Abbey, and the current St. Bernard Preparatory School, was established. 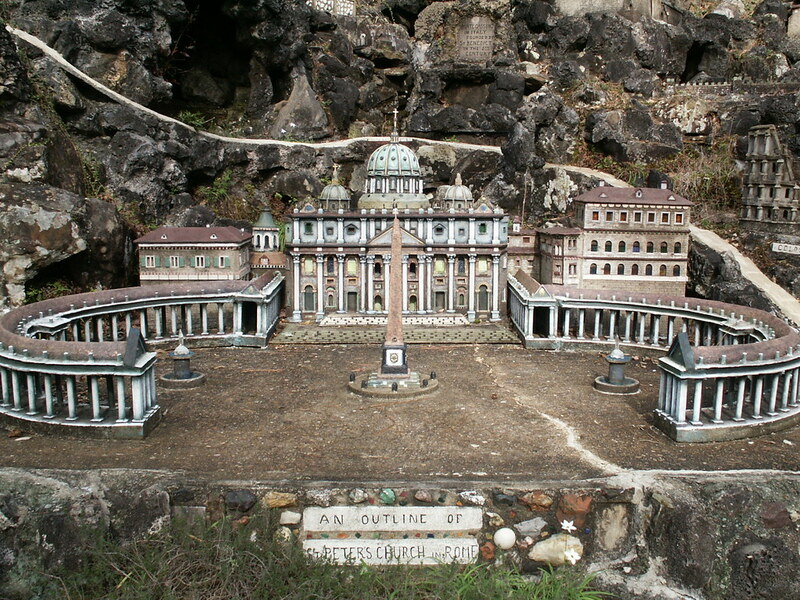 The abbey is known for its connection to the Ave Maria Grotto, a garden filled with miniature replicas of buildings from Jerusalem built in 1924 by Brother Joseph Zoetle. The monastery is open to visitors for the day or longer at the retreat center. In 1932, a location north of Tampa was chosen to be the home of an abbey church and school, designed by local architect Frank Parziale. Much of the stone masonry and work was completed as a part of a WPA initiative. Construction continued slowly for the next few decades as funds became available. 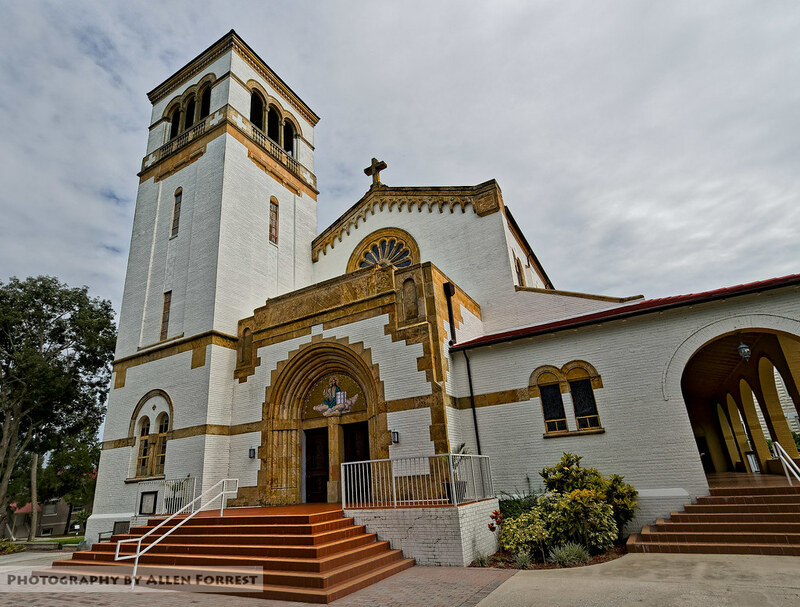 Among the features of Saint Leo Abbey are the 23,500 pound Tennessee marble crucifix and a three-manual pipe organ, salvaged from the Roxy Theater in New York City . The church is open to the public for daily prayers and has a Benedectine retreat center with a guest house for overnight stays. Set less than an hour from Atlanta, Monastery of the Holy Spirit in Conyers offers retreats for solitude and silence. In 1944, some of the Trappist monks from Gethsemani Abbey in Kentucky left to start their own monastery in Georgia. Guests can visit for services during the day at the stunning Abbey Church or stay for retreats, which include lodging and meals. 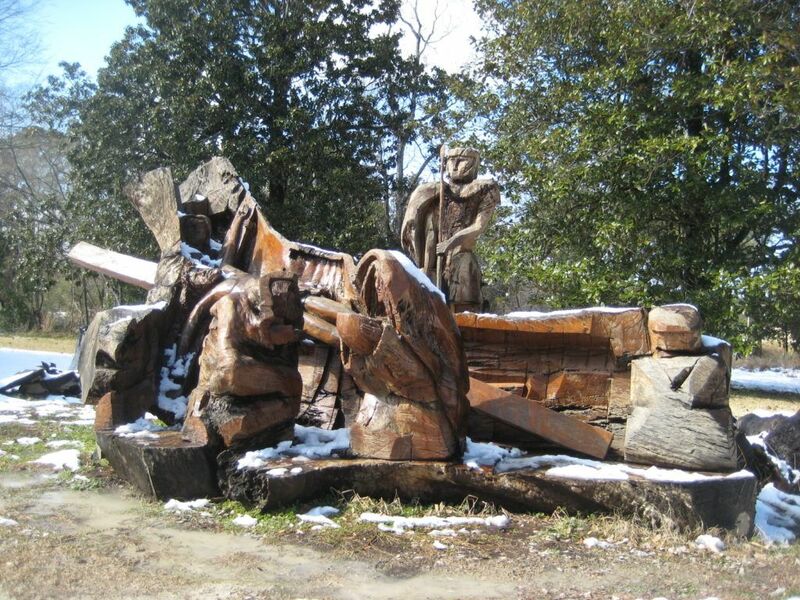 The monastery is close to downtown Conyers and the Arabia Mountain Preserve, offering plenty of opportunities to explore. They have a cafe, visitor’s center, and a store selling their bonsai trees and other plants grown onsite. 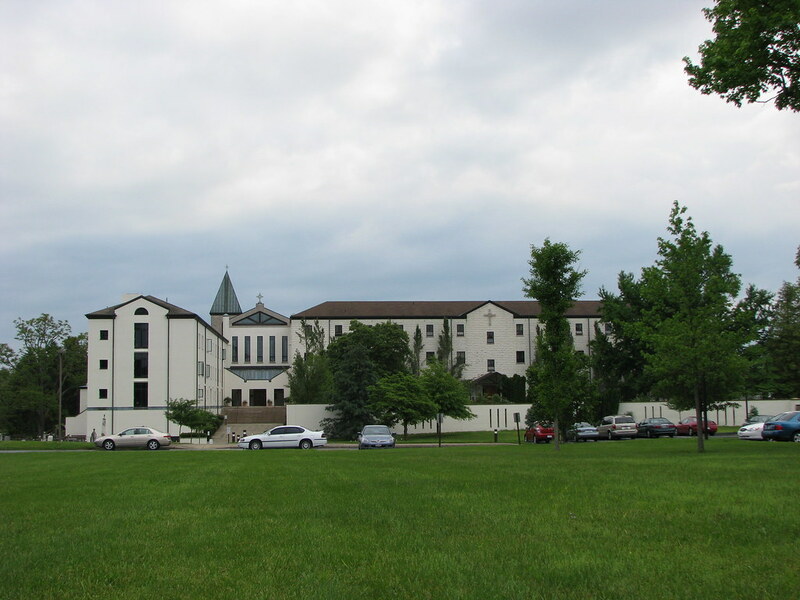 Founded in 1848 by French Trappists, the Abbey of Gethsemani, near Lexington, is a part of the Trappist order, making it the oldest continuously-operating monastery in the United States. It was the home to Thomas Merton, a noted theologian. The monks support themselves through Gethsemani Farms, which creates a number of products, including the popular fruitcake and bourbon fudge. The abbey is open for visitors, including the daily services and access to the nature trails, and overnight retreats. In 1889, a group of monks from an abbey in Indiana established a new monastery in southern Louisiana, north of New Orleans. It became Saint Joseph Abbey. The monastery welcomes daytime visitors for prayers and guided tours and male visitors for retreats. Unique features of the historic property include the Abbey Church, the Columban Thuis murals, and the monk’s refectory. The gift shop sells Catholic books and CDs as well as artwork, honey, and soap made by the monks. In 1876, Benedictine monks an abbey in Pennsylvania settled in the Piedmont of North Carolina, taking over a farm that would become Belmont Abbey and, later, Saint Mary’s College. Centered around the Abbey Basilica, built in 1892, it features stained glass windows and was designated a minor Basilica by St. John Paul II. Twenty men call the monastery home and the church also serves as a place of worship for Belmont Abbey College. The abbey is open to visitors for daily services and tours as well as independent retreats. Located outside of Charleston, Mepkin Abbey is a Trappist monastery that was set up in 1949 on the site of a former plantation and gardens for a group from Gethsemani in Kentucky. The grounds include the graves of the original owners of the land as well as the gardens, now called Mepkin Abbey Botanical Garden. They grow their own white oyster mushrooms, which are sold at their gift shop as well as at local grocery stores. The best way to see the monastery is via a guided tour, which visits the Abbey Church. Their retreat center welcomes up to 12 people per week for solitary reflection. The Abbey of Our Lady of the Holy Cross was founded in 1950 in the Cistercian Order (Trappist) in an unincorporated community outside Washington DC. The main building on the abbey’s campus dates back to 1784 and is a hunting lodge bought by a friend of George Washington. It was also the site of a Civil War battle. The abbey is open for daily prayers and services as well as retreats. They sell spiritual books and gifts as well as the fruitcakes and other baked goods made in-house. But it’s not just traditional Benedectine or Trappist monasteries found in the region. There are also Buddhist monasteries and temples to check out. Set in the Ozark Mountains, Gyobutsuji is a Soto Zen Buddhist monastery, taking its name from the word for “practice Buddha temple.” They host talks on spirituality to the public. Located just outside Orlando , not far from the theme parks, is a surprising Theravada Buddhist monastery inspired by those in Thailand. Wat Florida Dhammaram observes religious functions of the Buddhist calendar and provides daily chanting and meditation practice for visitors. Magnolia Grove Monastery is a residential monastery and includes Magnolia Grove Meditation Practice Center, a Mindfulness Practice Meditation Center. It was first established ten years ago and now is home to thirty monastics, both men and women. It welcomes guests as a place to practice meditation and mindfulness and stay for retreats. Wat Carolina is a Thai Buddhist Monastery, located near Bolivia, North Carolina or about 20 miles west of Wilmington, North Carolina. It was founded in 1986 by a family from Indonesia. They are open to the public for worship and special events.